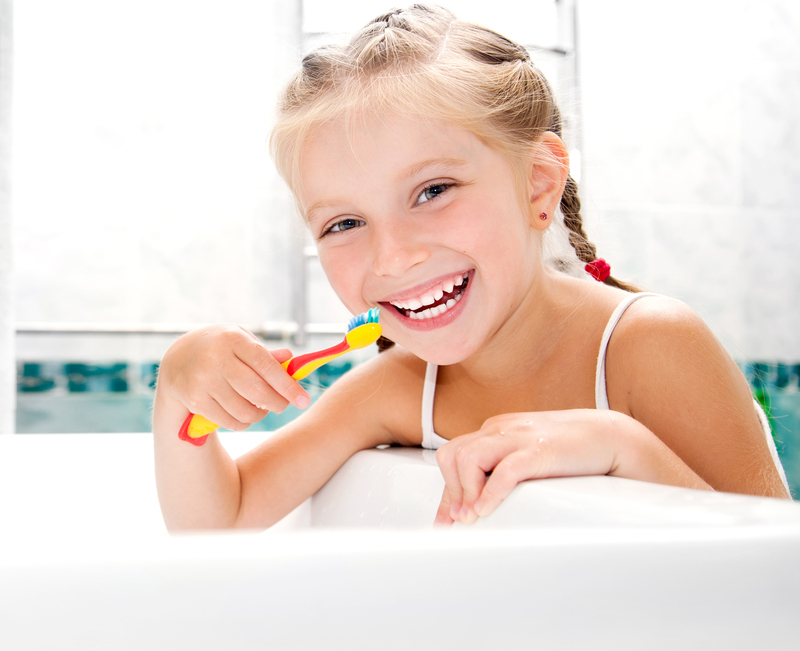 Children that see a dentist at a young age start building good dental habits early. Dr. Kevin Dowd offers treatments aimed at preventing common dental issues in children, like cavities and more advanced forms of decay. Parents who bring their children to the dentist when teeth first emerge get them started on the right path towards healthy, beautiful smiles. Maintaining the health of baby teeth is important to the development of functions we often take for granted as adults. Baby teeth help permanent teeth grow in properly by keeping a space for them, preventing many complications with teeth placement. Baby teeth also help children develop proper speech and chewing habits. Routine Cleaning, to make sure bacteria, plaque, and tartar are kept at bay, ensuring caries don’t affect the development of children’s baby teeth. Sealants, which are thin plastic coating on the surface of teeth that act as a shield against debris and bacteria in order to help prevent tooth decay. Fluoride Treatment, the material common in typical toothpaste, which can be applied to teeth to help build structure during early development. Children often develop fear of the dentist because they didn’t have a good early experience to show that the dentist is here to help. A visit to Dr. Kevin Dowd’s friendly staff at our dental office alleviates anxiety from children before they can form. Take your child to meet with Dr. Kevin Dowd before their initial appointment! Children meeting with Dr. Down see that dentists only want to help. Children don’t need to wait until their permanent teeth come in to start dental care. Visiting the dentist early helps prepare children for checkups and receiving proper care for a lifetime of good dental health. For more information about what you can do to ensure a lifetime of good dental health for your child, or to schedule your appointment with Dr. Kevin T. Dowd, come to Pleasant Hill Dental in Contra Costa County or give us a call today!